Lois Blasdel, 94 year old former Woodward resident, passed away Thursday, March 7, 2019 in Edmond. Funeral services will be held at 2:00 p.m. Sunday, March 10, 2019 in the Billings Funeral Home Chapel with Pastor Eric Cox officiating. Burial will follow in the Elmwood Cemetery. 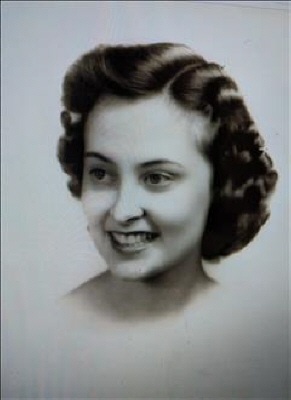 Lois Juanita (Holton) Blasdel was born on July 31, 1924 in Fort Smith, Arkansas; she was the daughter of F.L. Holton Sr. and Eva Holton. Lois grew up in Poteau, Oklahoma and graduated from Poteau High School. She attended Oklahoma A&M which later became Oklahoma State University. Lois was united in marriage to William Young (Bill) Blasdel on August 5, 1944 in Fort Smith, Arkansas. They made their home in Poteau, while Bill was fighting in Belgium, France, and Germany in World War II. After Bill was honorably discharged from the United States Army, he and Lois made their home in Woodward. She enjoyed oil painting, china painting, going to the ranch, couples bridge games, but most of all Lois loved being with her family. Loisâ€™s family was very proud of her. She had never been by herself at night until Bill died in 2006, but she spent the next 11 years taking on roles and chores that Bill had always managed, and with the help of her sister-in-law, Lucile Blasdel, even conquered tax season! She especially looked forward to family gatherings and holidays and after Billâ€™s death, her sons would take her to their homes for the holidays. Her gratefulness at these times was a powerful lesson for all her family. She is survived by one son, Mark Blasdel and wife Anne; six grandchildren, Nate, Zac, Todd, Natalie, Nina, and Jake; three great-grandchildren, Max, Anna, and Claire; other relatives and friends. She was preceded in death by her husband Bill, one son Brett, sister Allene Conn, and her brother F.L. Holton, Jr.
To send flowers or a remembrance gift to the family of Lois Juanita Blasdel, please visit our Tribute Store. "Email Address" would like to share the life celebration of Lois Juanita Blasdel. Click on the "link" to go to share a favorite memory or leave a condolence message for the family.